This year’s Liqui-Moly Bathurst 12 Hour will feature the addition of some more extraordinary silverware. Competitors at the Bathurst 12 Hour will be eyeing off the Australian Tourist Trophy, considering their names could be engraved alongside the likes of Stirling Moss, Bib Stillwell, Ian Geoghegan, Frank Matich and Allan Simonsen. 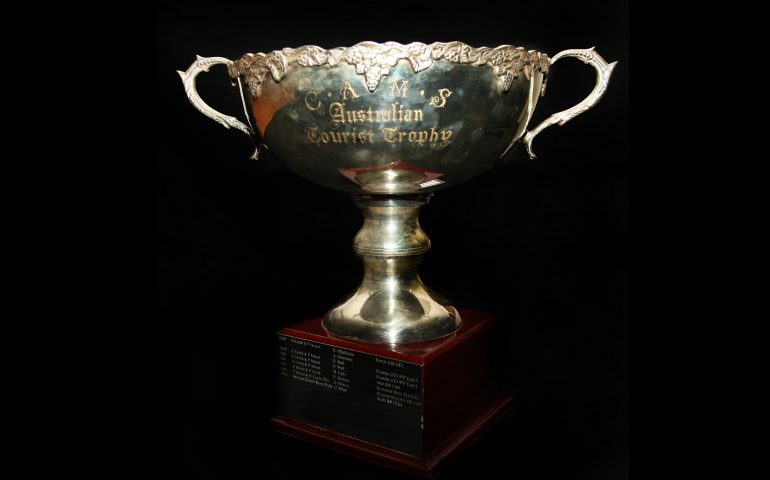 The Australian Tourist Trophy will make its return to the Australian motor sport landscape in 2017, and will also be awarded to the winners of the Bathurst 12 Hour for the very first time. CAMS General Manager Michael Smith mentioned that awarding the trophy to the winners of the Bathurst 12 Hour was a good first, given the previous history of the award. “The Bathurst 12 Hour is increasingly attracting some of the best drivers in Australia and from around the world, increasing the prestige of the event year on year,” Smith said. The trophy is a CAMS sanctioned award, originally contested between 1956 and 1979 by sports cars. It was first awarded in 1956 and annually from 1958, until the introduction of the Australian Sports Car Championship in 1969. After a brief break the trophy was reinstituted in 1975 and was then restricted to Production Sports Cars for the first time. A year later the Production Sports Cars were contesting under the Australian Sports Car Championship, the Australian Tourist Trophy once again became a contest for purpose-built Group A Sports Cars, until the trophy was once again discontinued in 1979. After a 27-year sabbatical, the Australian Tourist Trophy made its return in 2007, going to the winner of the Sandown GT Classic. From 2009, the trophy was then awarded to the driver who accumulated the most outright points at specific rounds of the Australian GT Championship. The trophy was last presented to Christopher Mies in 2015, and after a motor sport review from CAMS it was decided that from 2017 onwards it would be awarded to the winners of the Bathurst 12 Hour. The Australian Tourist Trophy will be presented to winners of Australian international endurance event for the first time, with all of the action to kick off on 3 February.